In this collection You will find 17 handpicked bestseller font families with total of 85 fonts perfect for branding projects, home-ware designs, product packaging, wedding invitations, magazine headers – or simply as a stylish text overlay to any background image. A font is a set of signs of a particular dimension and design that creates one stylistic and structural system. The key function of any web font is to obtain the user’s attention with its shape and shade and make him check the text. A high-quality font enables you to convey not only the written information but also a certain atmosphere. Cool and unusual web fonts are more expressive and more noticeable, so every business aims to actively use its original one as an important element of their brand. The cost of tailor-made fonts typically can vary from $0 to $100 . What Are The Types of Web Fonts? There exist 5 types of fonts. Serifs are more classic, they can be easily identified via tiny lines attached to characters. Sans-Serif fonts are modern, and letters are without tiny lines on their ends. Slab-serif fonts look and feel chunky and blocky, these fonts add more substance to the design and style. Script fonts emulate handwriting and also have interweaved letters. Stencils are recognized by curved edges and thin strokes, utilize them to develop an artistic headline. When it comes to designing advertising banners, one needs to pick a font rather carefully. Advertising banner creators should choose those styles of fonts that will correspond to the feeling of their commercial. The font itself does not only carry details in a textual form but also fills it emotionally, if one is put to use correctly. Normally, the advertising textual content gives the audience an idea of the company’s product/service, which implies a properly-picked web font will only contribute to needed aesthetic impact. What Are Web Font Sets and What Is Their Price? Font packages are the favored offers for pro web designers. A bundle is a collection of a number of high-quality fonts. 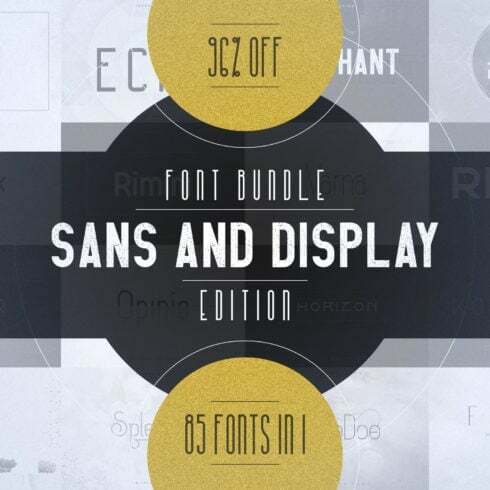 A font bundle is priced at way less as compared to the price of all of these fonts separately. 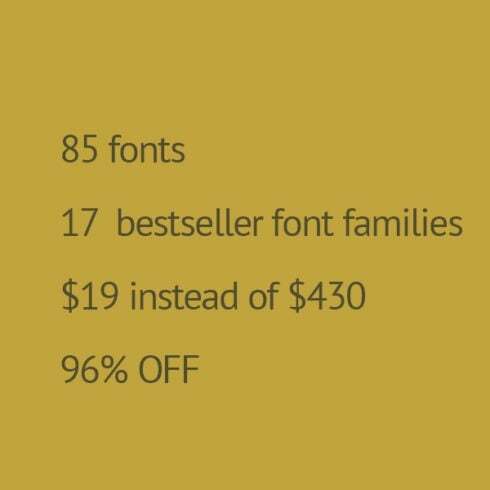 Choosing a font bundle you save up to a whopping 99%. At Masterbundles.com, you can find font deals in the range of $4- $50, depending on the size. I Haven’t Discovered Any Suitable Fonts in This Specific Package. ? Do not worry! MasterBundles delivers tons of various bundle options for numerous occasions and styles. Just browse through our site and you’ll certainly discover something to your preference and expectations. What Other Sorts of Bundles Do You Offer on MasterBundles? MasterBundles.com provide a multitude of useful bundles for web masters and deveopers together with web font packages. Those can have an incredible influence on your work efficiency in case you are a UX/UI designer or artist. Those are pre-made units with premium infographic elements, patterns, WordPress web templates, and overall, graphic kits with various solutions together. All of those sets are super affordable throughout the sales period, so it’s better if you monitor those discounts before it’s too late! MasterBundles.com is an internet marketplace. On our resource, pro graphic designers promote their designs at the best prices. This site offers the very best deals out there, and our deals are highly reviewed by customers. Go and visit our blog, it truly is full of useful information for successful graphic designers. Additionally, for those who register for our newsletter, you’re going to be the first to learn about our special discounts. There will always be discount coupons and promo codes available to reduce the prices to a bare minimum.